Brennan Heating & AC, Inc. is proud to serve the New Berlin community! About New Berlin, IL - Happy to be your hometown Heating & Air Conditioning Contractor! New Berlin is one of the loveliest places to live in all of Illinois. It is a clean and quiet community that offers varieties of new and existing residential homes, as well as commercial building sites. However, it is no bustling metropolis. 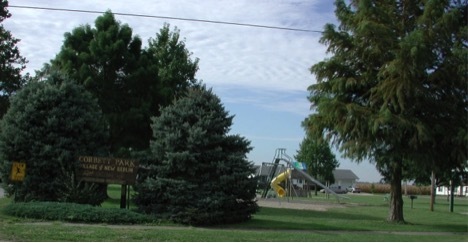 New Berlin is located in the heart of West Central Illinois and is perhaps the most productive agricultural areas in the whole world. Seasonal weather means that those vast fields turn from green to brown to icy white each year as residents look out of their peaceful town’s landscape. It is home to the annual Sangamon County Fair each warm summer. The fair is a great place to get out and socialize with neighbors and friends and the community looks forward to it all year. From a Pancake and Sausage Breakfast to a Pine Derby, there is something for everyone and the whole family gets into the excitement. The fair is a symbol of the simplicity and joy that can be found in the Midwest. This part of the country is still deeply community-oriented, often churchgoing, and rarely anything but peaceful and quiet. It harkens back to a simpler, safer time in our history. This part of the world is simply boiling over with history and culture, character and community spirit. The history of the town is rich and fascinating, originally known as "The Prairie Country" because of its vast areas of untamed grassland, farmers came from Kentucky and Tennessee to settle. The original settlement was laid out in 1833 and was, at the time, called Berlin. Not too long after, a railroad was built in the area and many residents and businesses moved closer, the town became known as New Berlin. It was incorporated in August 1865.